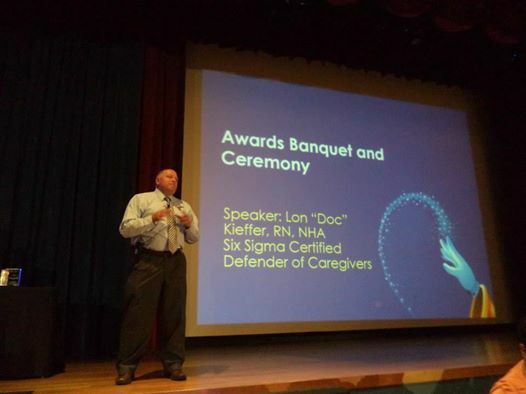 Lon, aka, DOC, shown here at the NADONA Conference in Aneheim, CA, has provided Keynote Addresses to more than 30 Statewide Associations and National Organizations. Topics Include: Generational Conflict; Workforce Development; Creating Caring Cultures and Caregiver Oriented Sales Training. Lon, aka, DOC, is uniquely prepared to share his message in small venue forums helping impact local leadership through team building and marketing events.